To listen on your mobile device, download our very own mobile app or one of the apps below and search Righteous Rock Radio. In some instances you may have to search 3R-Radio., or enter the url (below) directly. NOTE: Listening on mobile devices may not be free if you do not have an unlimited data plan. Using your mobile device, click on the photo to download our Android App. Using your mobile device, click on the photo to download our mobile app for Apple products. 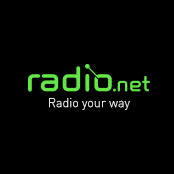 The world's largest internet radio directory. If searching for the station by name does not work you can type the following URL into the app (or browser) that you are using for a direct connect.